Union Bank of India (UBI) Published Recruitment Notification for Forex Officer & Integrated Treasury Officer Posts. View More Details About This Recruitment Including Total Posts, Posts Name, Qualification, Job Location, Age Limit, How To Apply etc., are Given Below. Forex Officer : Graduate / Post Graduate Degree in any Discipline from a University / Institution / Board Recognized by Government of India / Approved by Government Regulatory Bodies. Integrated Treasury Officer : Graduate / Post Graduate Degree with Specialization in Finance / Mathematics / Statistics / Commerce from a University / Institution / Board Recognized by Government of India / Approved by Government Regulatory Bodies. 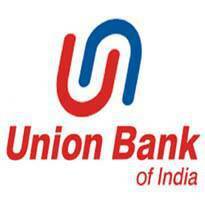 How to Apply : The Applicants are Required to go to the Bank's Website "www.unionbankofindia.co.in" and Click on the Link "Recruitment" under "Careers" Page to Access the Recruitment Notification Titled "UNION BANK RECRUITMENT PROJECT 2017 - 2018 SPECIALIST OFFICERS (FOREX & TREASURY) - RECRUITMENT NOTIFICATION".